Dallas Bridal Show is a very well-established consumer trade show giving brides a one-stop wedding planning experience to plan their complete wedding. 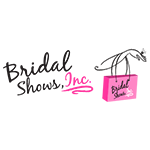 It will feature over 300 Wedding Businesses with everything to plan your Perfect Wedding, Fashion Shows, Door Prizes and Giveaways, New Wedding Trends etc. Would like to have seen more Quality participants. Sweet memories was there and they have very poor reviews on line.